Technical Architect at Stantive Technologies Group Inc. Sales Secondment at Stantive Technologies Group Inc. Assisted account executives and solutions consultants in accessing solution fit and level of effort required to meet customer needs. Provided budgetary quotes, estimates and technical responses to RFPs/RFIs. Worked on over a dozen of Lightning and Visualforce proof-of-concepts intranets, public facing sites, and Salesforce communities demos. Technical Specialist Team Lead at Stantive Technologies Group Inc.
Mentored technical specialists and worked directly in the trenches to deliver enterprise level projects built on Salesforce and powered by the OrchestraCMS platform. 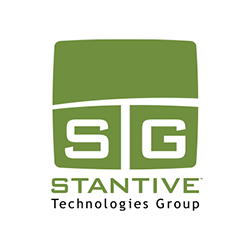 Senior Technical Specialist at Stantive Technologies Group Inc. Worked on mid-to-large company capitalization level projects to deliver custom solutions built with OrchestraCMS and the Salesforce platform. May 2017 → Current Technical Architect – Stantive Technologies Group Inc.
Oct 2016 → May 2017 Sales Secondment – Stantive Technologies Group Inc.
Sep 2014 → Oct 2016 Technical Specialist Team Lead – Stantive Technologies Group Inc.
Oct 2013 → Sep 2014 Senior Technical Specialist – Stantive Technologies Group Inc.